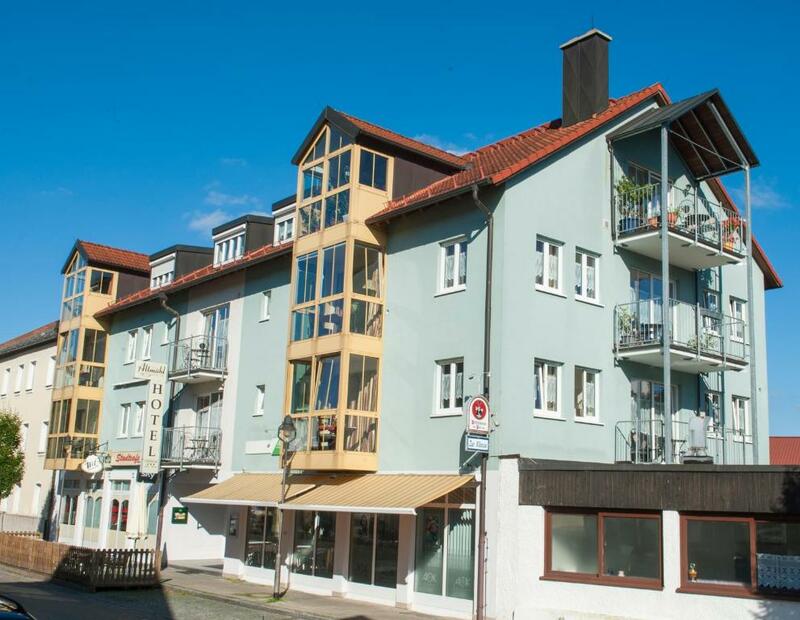 Lock in a great price for Altmühlhotel – rated 9.4 by recent guests! Great little hotel even though l booked the wrong Heidenheim ! Super friendly and helpful owner. Nothing was a problem. Lots of little extras, not found or experienced in any other hotels. 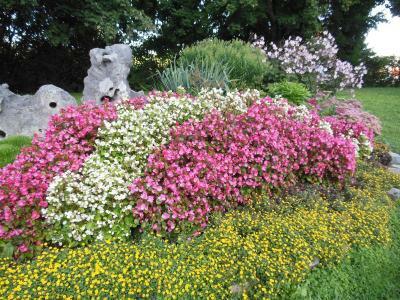 Walking distance to most attractions. 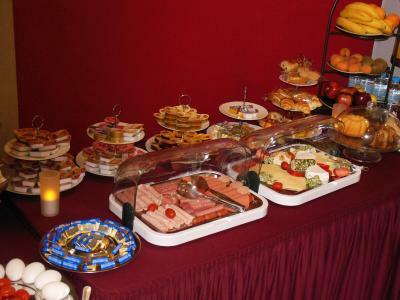 Best breakfast, huge selection. Beautiful rooms, amazing staff. 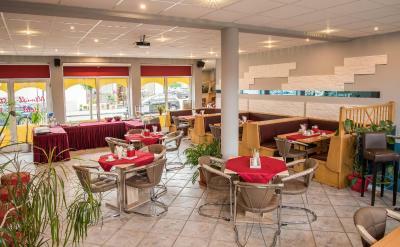 Good restaurants in the area, It’s our second stay at Platzl Hotel and we will be back. The owners were so friendly and welcoming!! They helped us find cool things to do in the area. Great hotel, very helpful lady running it. The room was spotless and she gave us a free bottle of wine and some peanuts. Apparently we were their first English guests and they hope for more - they certainly deserve to get them. There was a balcony where we could sit and eat / drink / relax. Plenty of free tea and coffee and water. There was also a small resident's lounge / dining room. The room had everything you could need. There is also plenty of free private parking. Treuchtlingen is a very functioning small town and would make an excellent base for anyone visiting this part of Germany. The details like the bottle of wine, the bed is comfortable and the room cozy and wide. Great WiFi!!! Very clean And beautifull room!!! 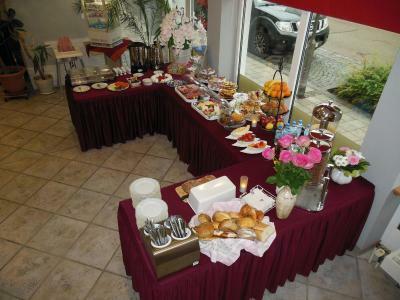 Friendly owners And delicious breakfast!!!! Just what we needed!!!! 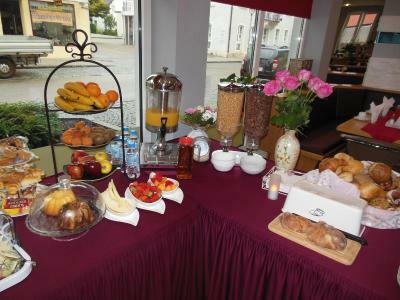 Newly renovated in 2017, this hotel is set in Treuchtlingen, in the heart of the Altmühltal Nature Park and near the Franconian Lake District. The Altmühlhotel offers free WiFi in all areas. 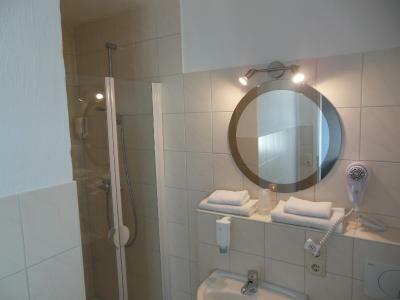 The modern rooms at the Altmühlhotel contain a cable TV and a private bathroom with shower. Some rooms offer a mini-bar, safe and a conservatory or balcony. There are also a range of apartments. Guests can park for free in the Altmühlhotel's large car park. 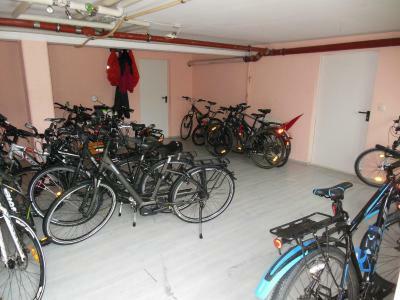 There is also a lockable bicycle storage room. The hotel is also popular with hikers, cyclists and motorcyclists. 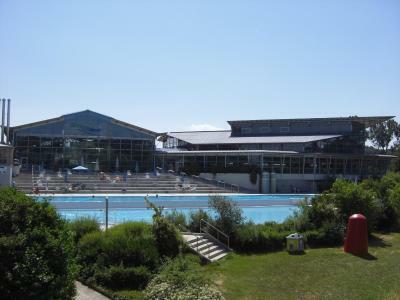 The Treuchtlingen spa park, the thermal bath and train station are within walking distance of the central location of our hotel. 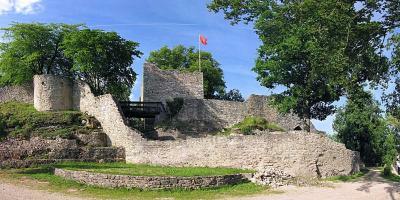 Gunzenhausen and the Roman town of Weißenburg are only a few minutes away. The hotel can also arrange boat trips on request. This property also has one of the top-rated locations in Treuchtlingen! Guests are happier about it compared to other properties in the area. 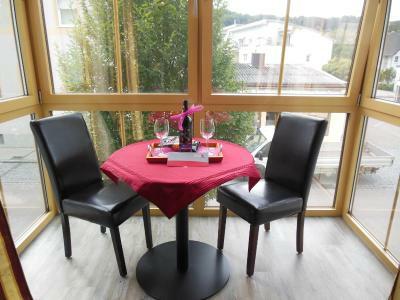 This property is also rated for the best value in Treuchtlingen! Guests are getting more for their money when compared to other properties in this city. 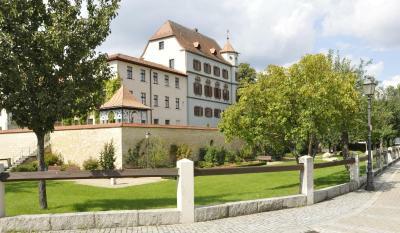 When would you like to stay at Altmühlhotel? This family room has a microwave, kitchenware and cable TV. House Rules Altmühlhotel takes special requests – add in the next step! Altmühlhotel accepts these cards and reserves the right to temporarily hold an amount prior to arrival. Service and generous people. Cosy rooms. The hotel is difficult to find with satnav. 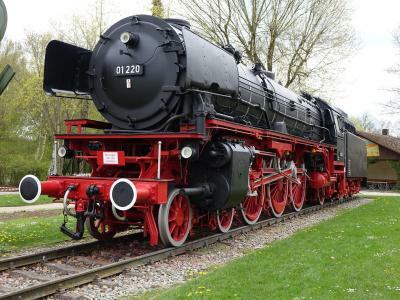 In fact it's fairly centrally located in Treuchtlingen. When we arrived there was initially a bit of a wait until anyone answered the door. Friendly staff ,nice room ,surprised gift . Great half way stopover point for belgium Italy drive. Super family room with separate room for our 3 kids. Super friendly owners and very kid friendly. Just what we needed after a long drive.